Jeff Carter, who scored on five of his 12 shots last week, was named the NHL’s second star of the week, joining first star Jaromir Jagr and third star Cam Talbot. More important than the statistics was Carter’s ability to pot big goals as two different goals of his tied the game in the second half of the third period, helping Los Angeles gain points in five of seven games of a seven-game road trip that finished 3-2-2. This is the second time a King has been named as one of the league’s weekly three stars this season. For action between November 14-20, Carter was named first star by virtue of a four- goal, six-point effort over a four-game span in which he received individual first star honors three different times. 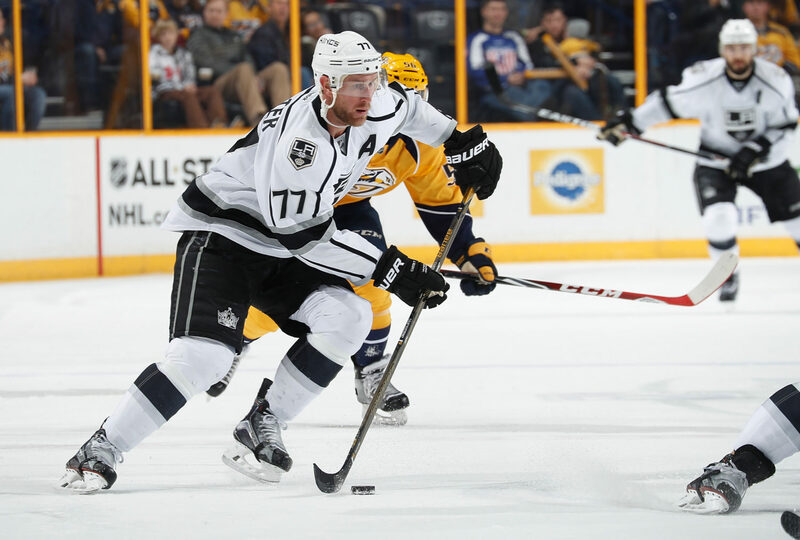 Carter paced the NHL with five goals in three contests to lift the Kings (17-13-4, 38 points) to four out of a possible six standings points. He scored twice in regulation – and also found the back of the net in the shootout – during a 3-2 loss to the Columbus Blue Jackets Dec. 20. Carter added one goal in a 4-0 triumph over the Nashville Predators Dec. 22 before capping the week with two more – his fifth multi-goal effort of the season – in a 3-2 overtime loss against the Dallas Stars Dec. 23. The 31-year-old London, Ont., native shares second place in the NHL with 19 goals and also leads the Kings with 29 points in 34 games this season. The Bakersfield Condors announced today the participants for the NHL Alumni-Celebrity Game pres. by Dignity Health and CBCC outdoors on Friday, Jan. 6 at 6 p.m. at Memorial Stadium. Legends Wayne Gretzky and Luc Robitaille will serve as team captains. Participants in the game have won 32 Stanley Cups as players in their careers. A ticket to the Three-Way Chevrolet Condorstown Outdoor Classic pres. by Mission Bank on Saturday, Jan. 7 at 6 p.m. is your ticket to the alumni game. Click here to purchase your tickets. For those who haven’t heard, yes, there will be a Reign-Condors outdoor game in Bakersfield, and yes, it will be preceded by a Kings-Oilers alumni game (!). The alumni game, as noted above, starts at 6:00 p.m. at Memorial Stadium in Bakersfield on January 6 and will feature Wayne Gretzky and Luc Robitaille as captains (just like 1992-93!). The official outdoor game is one day later, January 7, at 6:00 p.m. It’s the same day as a Los Angeles-Minnesota matinee at Staples.